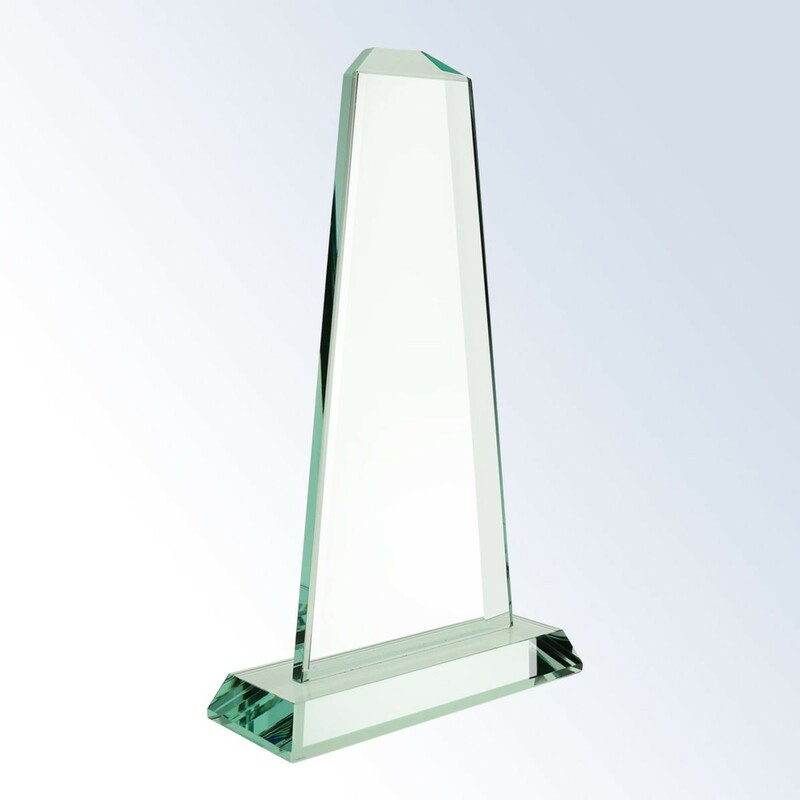 An exquisite glass award that will impress even those with discriminating tastes, this Jade Pinnacle Glass Award produces a unique green sparkle. Each piece is hand-polished with beveled edges. 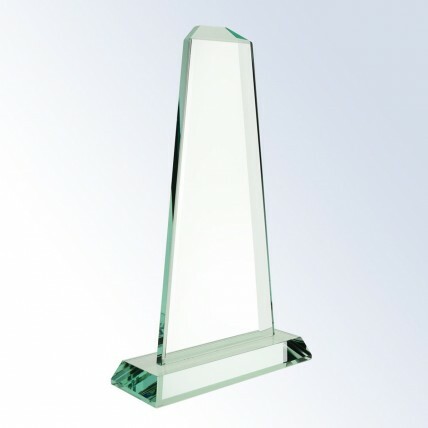 This jade glass award is available in 3 sizes. Small: 6"x2.25", Medium: 7"x2.5", Large: 8"x2.75"